How would you like a vehicle you can fill-up with a low cost clean gaseous fuel like natural gas or propane or with standard liquid gasoline or diesel fuel? Imagine its engine is 53% efficient plus weighs 71% less than a piston engine for super mileage! What if it also had more power and 60% more torque for exciting performance? 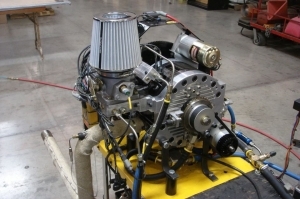 Dream of it also with 76% less moving parts than your normal piston engine so there is less to wear out resulting in great reliability! Alternatively, how would you like a compressor or pump that flowed so much per revolution that it ran a much shorter time and significantly reduced your energy costs? 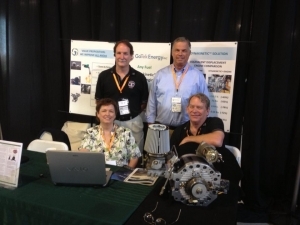 Well, GoTek Energy®, Inc. is developing those game-changing DynaKinetic™ rotary technologies as both an engine (that’s not a Wankel/Mazda) and as a compressor/pump (that’ not a piston, screw, or scroll)! GoTek Energy’s® DynaKinetic™ rotary engines (which are not Wankel engines) run on clean natural gas or propane to reduce harmful emissions and can also run on a second common fuel to increase the mileage range or run time. GoTek Energy’s® cylindrical piston-free rotary engine design converts clean and standard fuels into energy more efficiently than traditional engines, by eliminating much of the mechanical complexity (and associated energy loss) of piston-based engines. 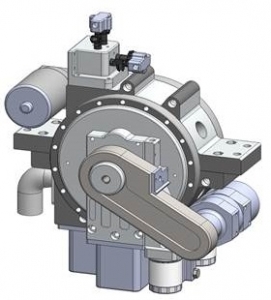 GoTek Energy’s® DynaKinetic™ rotary compressors and pumps flow significantly more gas or liquid per revolution and achieve this performance in a reduced size and weight package. Our objective is to excite customers while taking a bite out of high cost oil consumption or electricity usage and generating jobs. We focused on improving every area of customer importance … fuel cost (efficiency & weight), emissions, performance (power/torque or pressure/flow, response, & vibration), durability, & serviceability. Learn more on our “Company Overview – Executive Team” subpage. 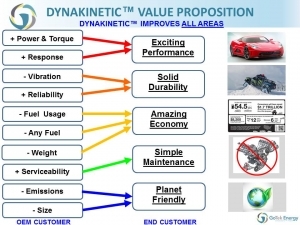 DynaKinetic™ technology integrated in your OEM product for an excited end customer. Learn more on our “Product” page. Improved performance, increased durability, better fuel economy, greater multi-fuel capability, reduced emissions, smaller size, less weight, better response, diminished vibration, and simplified serviceability … The customer can have it all! Learn more on our “Value Proposition” page.